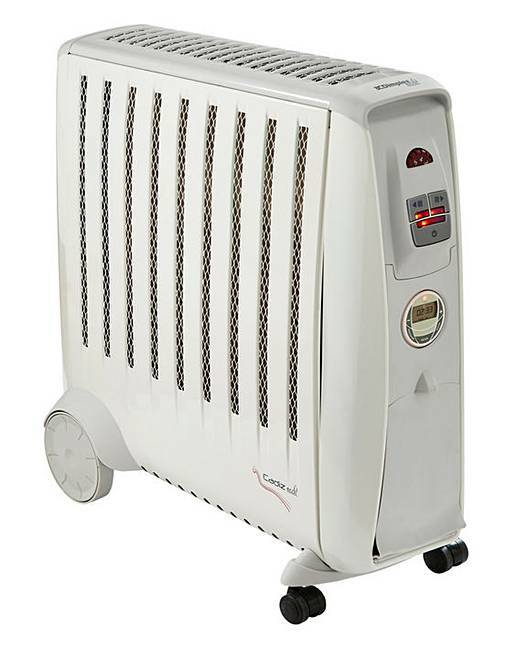 Dimplex Cadiz Eco 2kW Oil Free Radiator is rated 5.0 out of 5 by 1. 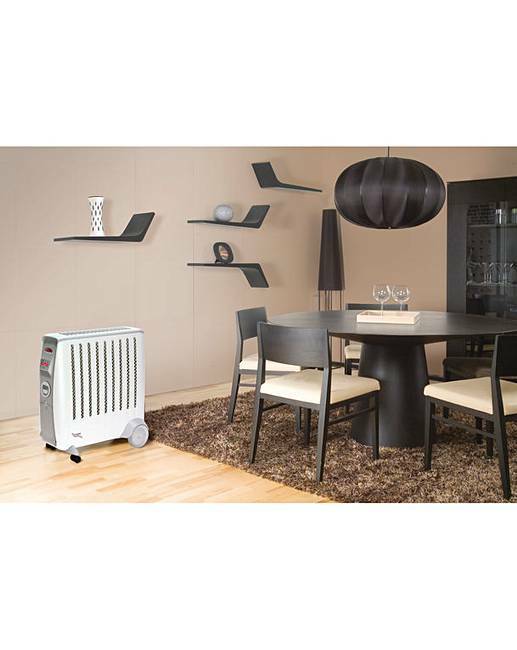 The Dimplex Cadiz Eco 2kW Oil Free Radiator features Mono/Dual heat panel control and unique micathermic heating technology to heat a room 30% faster than oil-filled competitors and offers up to 25% energy savings. 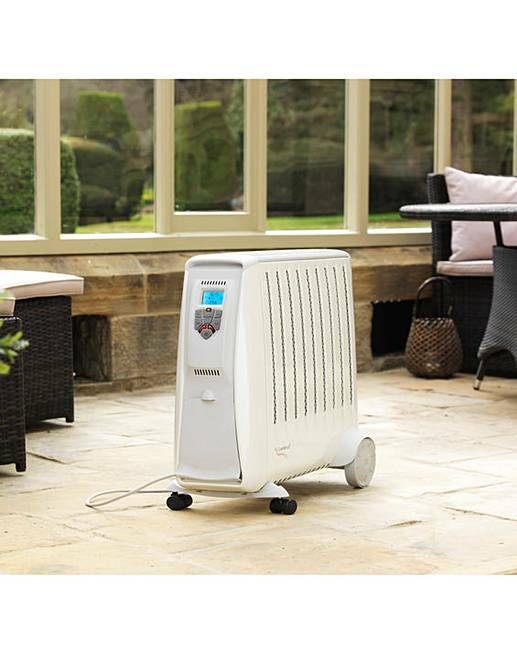 Also features 24 hour programmable timer, neon indicator, frost setting, overheat protection, easy glide castors and integral cable tidy. 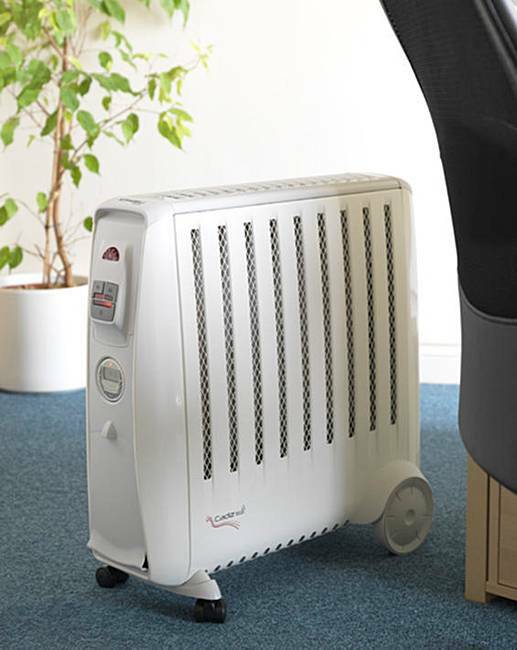 The Cadiz eco is also up to 25% lighter than the standard oil-filled radiator at 11kg. Glen Dimplex test laboratory results - September 2010 based on Cadiz 2kW Eco versus leading competitor 2kW oil-filled product. 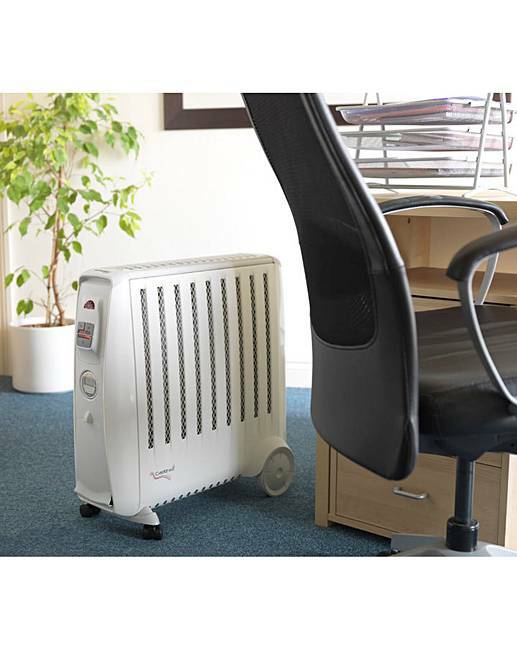 Test parameters: Energy used to heat a room from 10C to 22C for five hours and then switched off. Weight 8.34kg. 5 year manufacturer's guarantee. H.60.5 x W.60.5 x D.25cm. 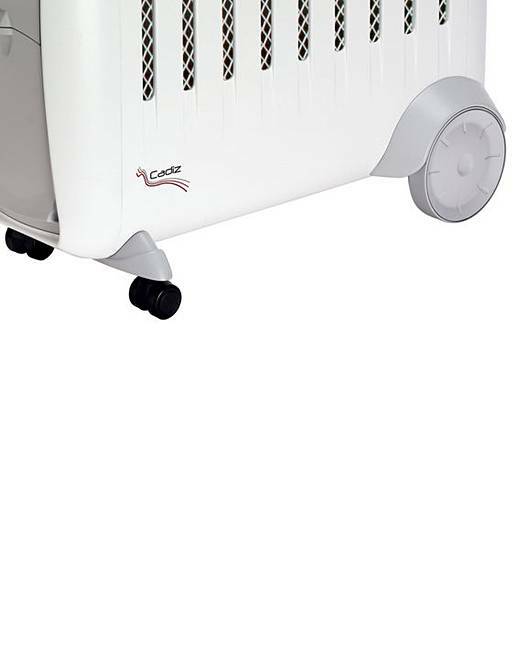 Rated 5 out of 5 by Foxy Rose from Instant Heat I purchased this Dimplex Oil Free Radiator about 6 weeks ago, It really cuts through the freezing weather in no time with a blanket of warmth. I move it round to number 3 and in no time the room I am in feels warm and cozy, If it’s really cold like minus degree weather, turn it to No 6, within 3 minutes I can feel the difference. It’s unbelievable. 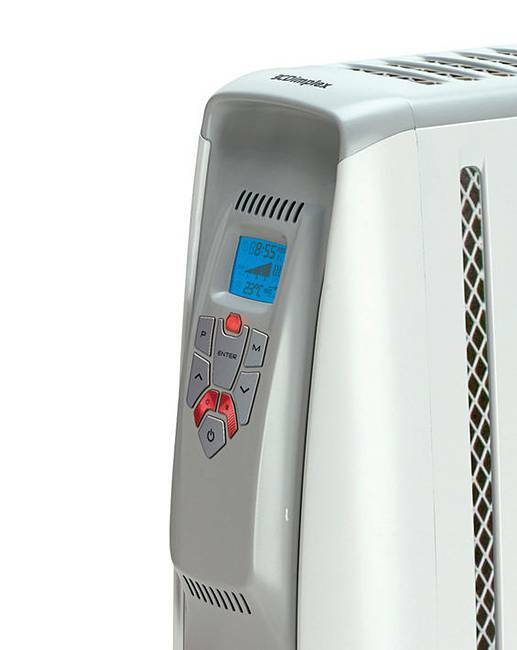 The best heater I have bought. It’s a bit expensive but it’s worth it. 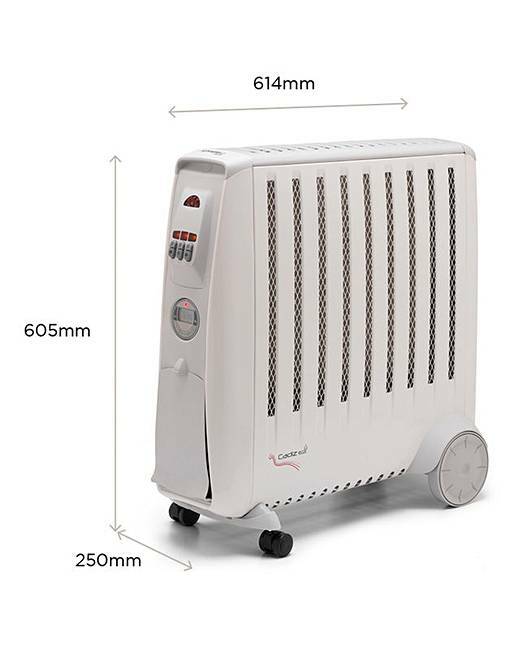 I recommend it to anyone that had a cold problem, I use it economically, by not overheating the room, it automatically regulates itself when the right temperature is reached. A remote control comes with it as well as an instruction booklet. Easy to use. Thank you JD Williams.